Everyone messes up occasionally. Whether it is a case of making a bad decision and having to live with the consequences or doing something incredibly stupid without thinking, the advent of smartphones and the internet has made it easier and quicker for fails to be captured as photographs and then put online and be shared with thousands or millions of other people. 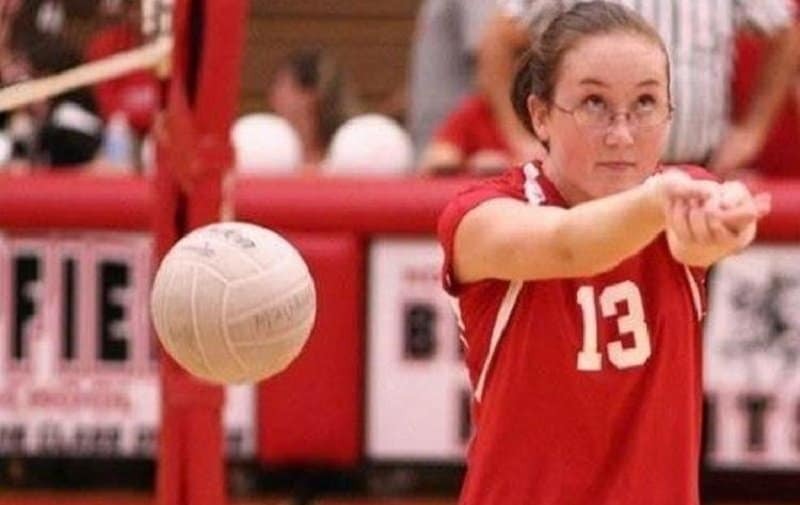 These fails come in a variety of different types, from simple wardrobe malfunctions to hilarious cases of bad judgement, yet they all have one thing in common. They all involve girls. It’s always important to take precautions when cooking due to the high temperatures involved. One of the first steps is to make sure the oven glove is worn on the hand that will be touching the hot things and the unprotected hand is used for things like opening the door. They say that dogs will eventually begin to look like their owners but this one is going a bit too far. 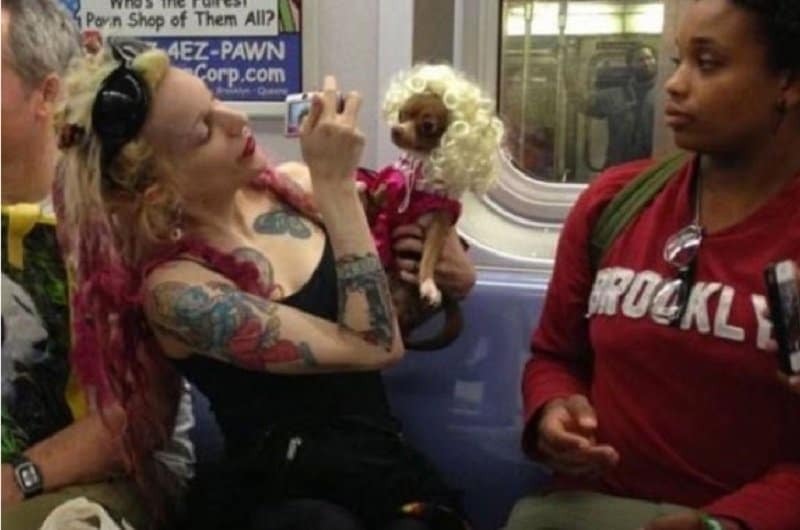 The look of the woman sitting next to the pet and its owner describes the situation better than words ever could. Everyone gets into car trouble occasionally. It is just something you to accept if you are going to drive on the road. However, it’s probably best not to drive in high heels like these, especially if you have to trek through what looks like a lake to fix the problem. This almost made the perfect picture. 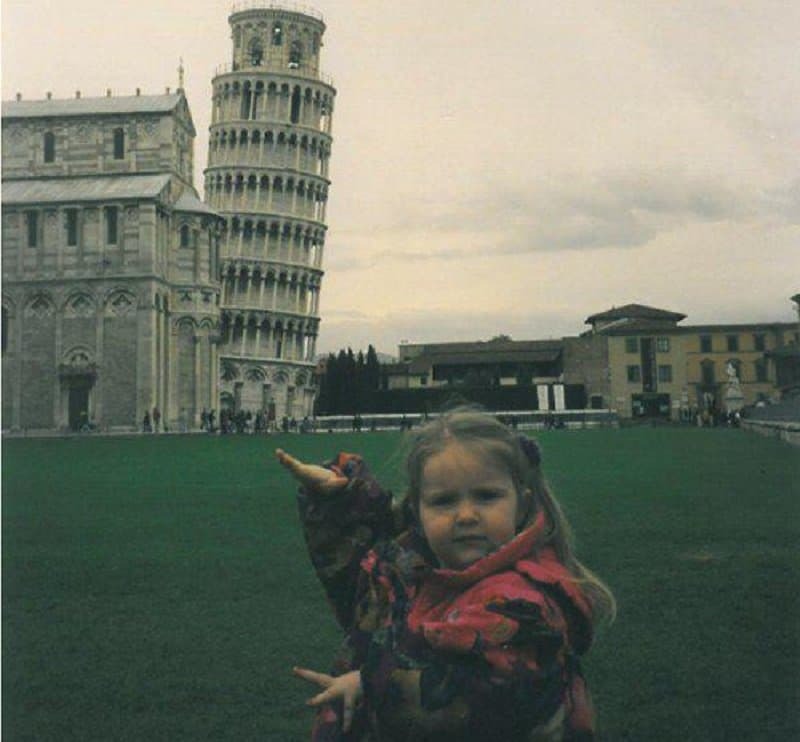 It had all the essential ingredients, a classic pose, one of the most well-known tourist destinations in the world and an adorable child. The only problem was that somebody clearly didn’t understand how perspective works. We are gonna go out on a limb and guess that this woman isn’t actually an employee at Hooters. If she is then she much caters to very specific tastes, although the company would probably have provided a uniform that actually fits. 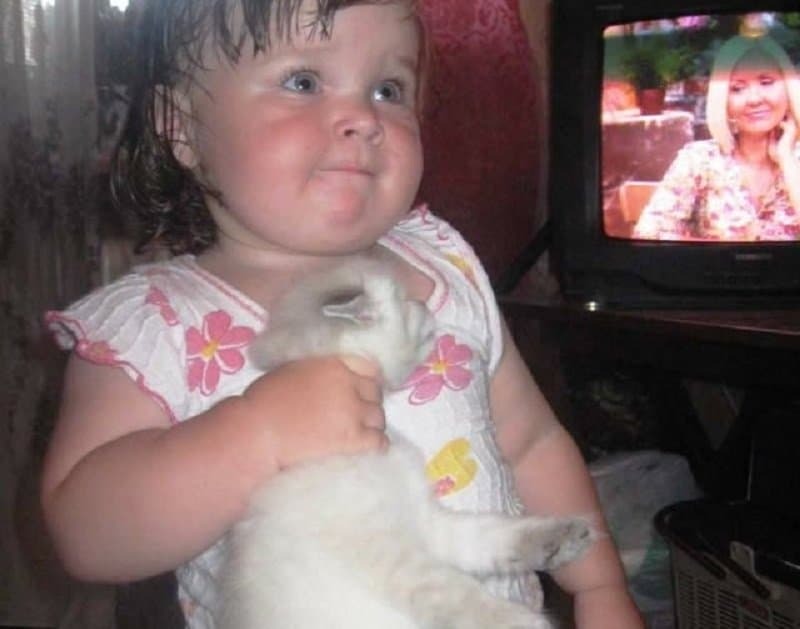 Sometimes kids can be a little too rough with pets, especially if they haven’t been taught how they shouldn’t pick up smaller and weaker animals by the neck. Hopefully, this little fellow wasn’t harmed too much. Don’t sweat it. Sometimes we all miss the only thing we are intently focusing on while it flies past us and smashes into the ground. Wardrobe malfunctions can be some of the most embarrassing fails that are possible. Even planned events such as cheerleading displays can fall foul of them and the professionals like this girl just carry on with the show. Putting together D.I.Y. 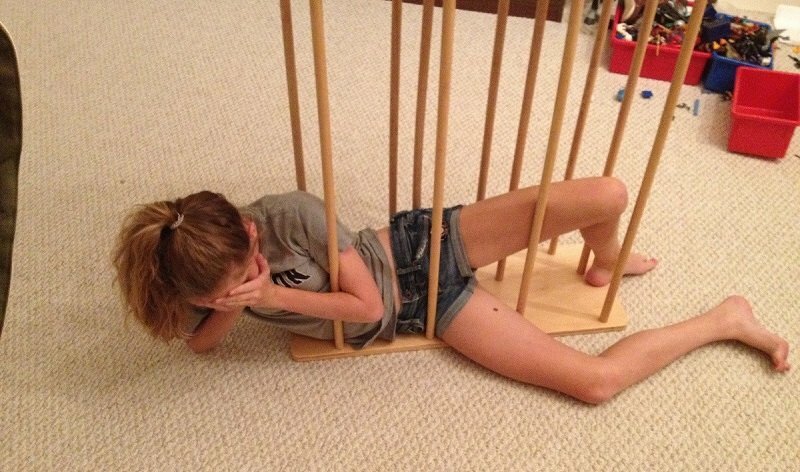 furniture can be tricky. One tip is to make sure that you don’t trap yourself in the build. A perfect example of why it always pays off to look where you are walking, as it can really help to ensure you don’t get your heel stuck in a grate. 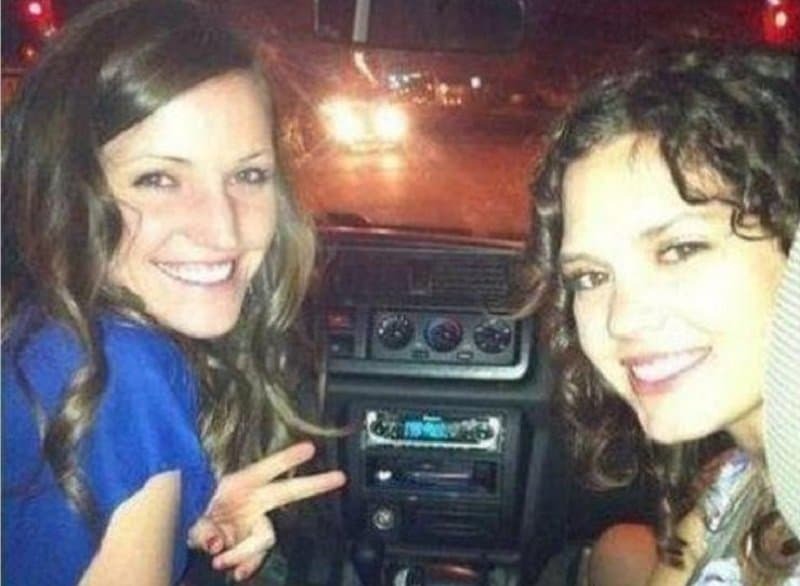 At least she had the smarts to take a picture rather than get help. This is exactly the reason why you should only use guns if you know what you are doing. 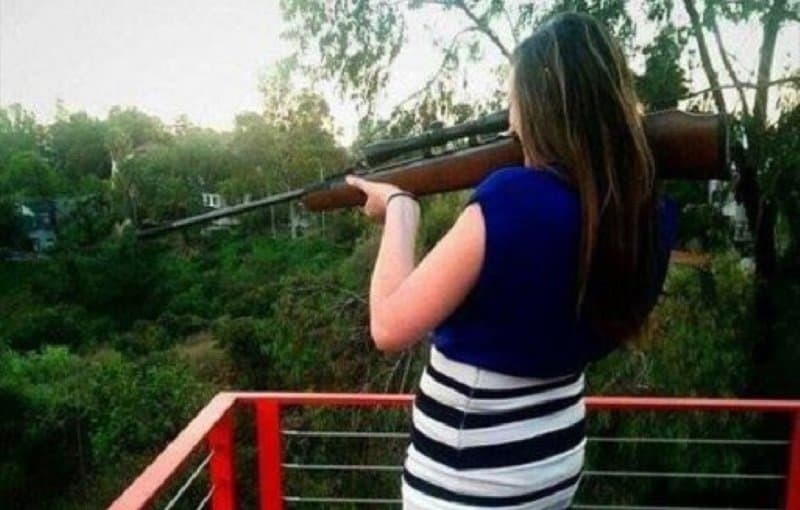 This woman obviously doesn’t because is she pulls that trigger she will probably need some pretty urgent medical attention. 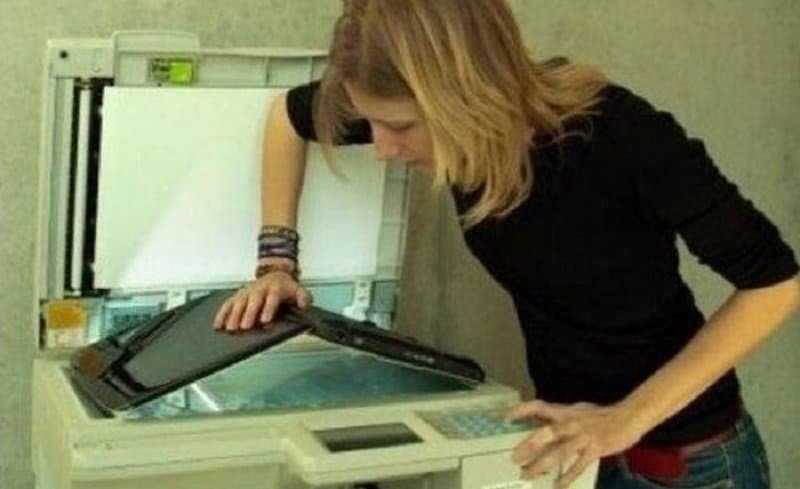 At least the person taking the photo warned her before she fired, or at least we hope they did. In spite of how hard you try, it sometimes just isn’t possible to emulate your hero. 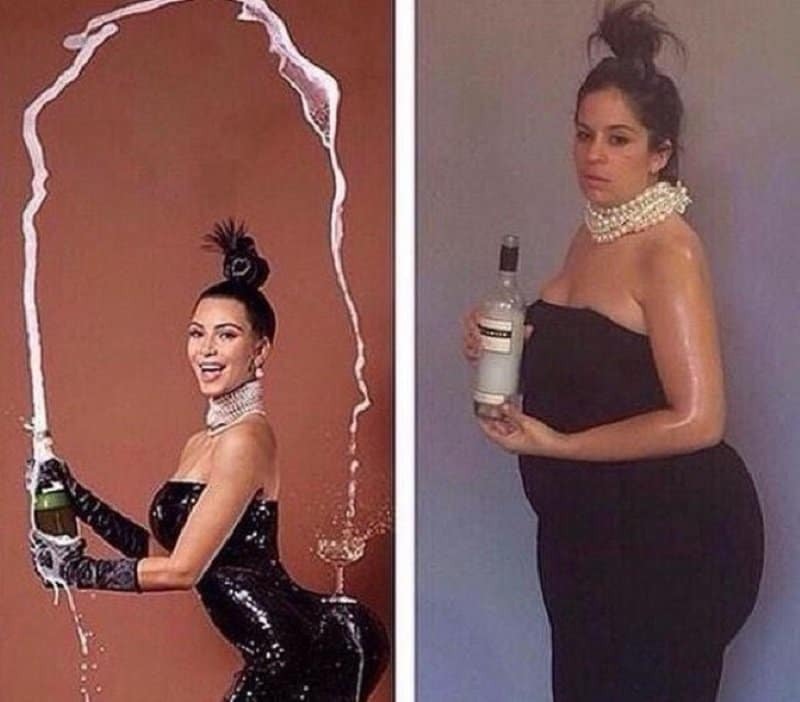 This woman came so close to pulling off the iconic Kim Kardashian pose, though. 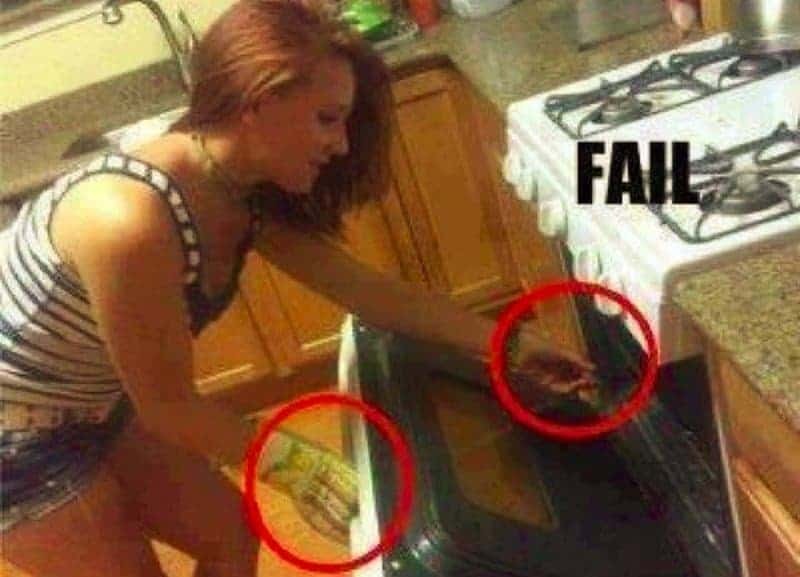 There are several things that this woman has done here. Firstly, she hasn’t worn a helmet or other safety gear, instead opting to go for a rather skimpy outfit that offers very little protection. Secondly, she appears to have crashed and fallen off the motorbike. That’s exactly how it works, right? 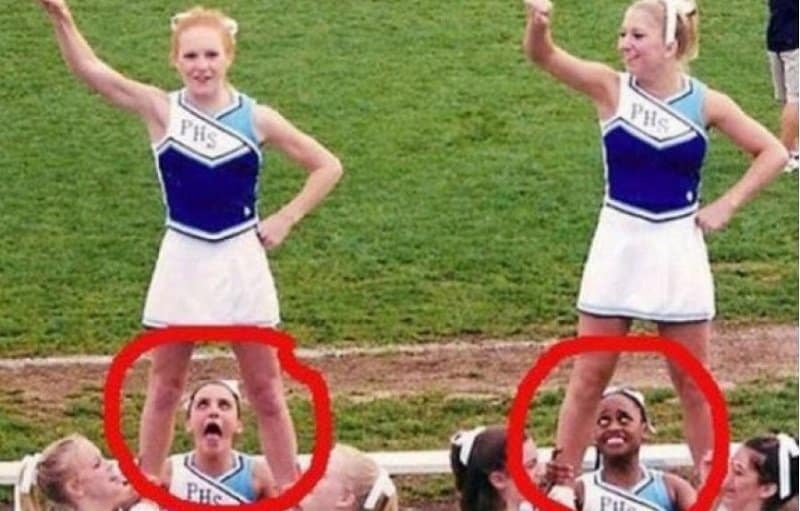 These perfectly timed photos are not exactly the most flattering pictures that these cheerleaders are likely to have ever had. Never mind that though, what did they see to pull faces like that in the first place? Cleaning a motorcycle can be a tough job, especially if you are taking the opportunity to dance around rather than simply scrubbing as hard as you can. Whatever you do though, just make sure the bike doesn’t fall on you because those things are heavy. That’s probably about as fresh as you can ever possibly get your milk. It’s not something your doctor would probably recommend though, as you just never know where that cow might have been. Busy commuter trains can be pretty stressful places and it can be incredibly hard to relax on them. 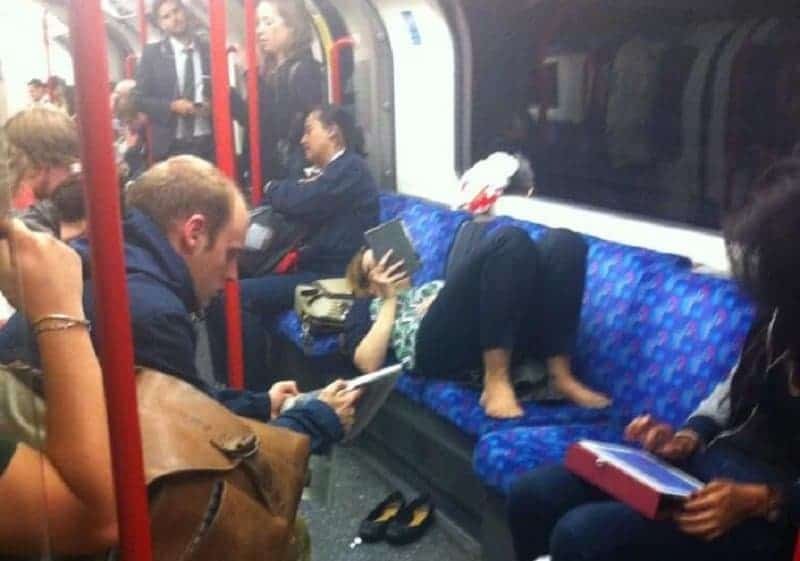 This woman though doesn’t seem to have that particular problem as she gets comfortable and takes up almost four seats. Unfortunately, the people being forced to stand up don’t look quite so cosy. We have no idea what went on here for these four scantily clad women to end up in a Los Angeles courtroom. At least they were allowed to put their shoes on before being arrested, though.